Every project needs a good manager. And employers covet the rare few employees who can prove they have what it takes to simplify difficult tasks, solve big problems, and lead a team effectively. Through this IT Process & Project Management: 11-Course Super Bundle, you'll be able to prove that you have the skills you need to conquer any task and lead any team. And it's only $59. This bundle covers 11 different methodologies that will prepare you for a slew of highly-respected and sought-after certifications, including the CompTIA Project+ PK0-003, PRINCE2 Foundation, PRINCE2 PractitionerSix Sigma Black Belt, Project Management Professional (PMP), and Certified Associate in Project Management (CAPM) certifications. 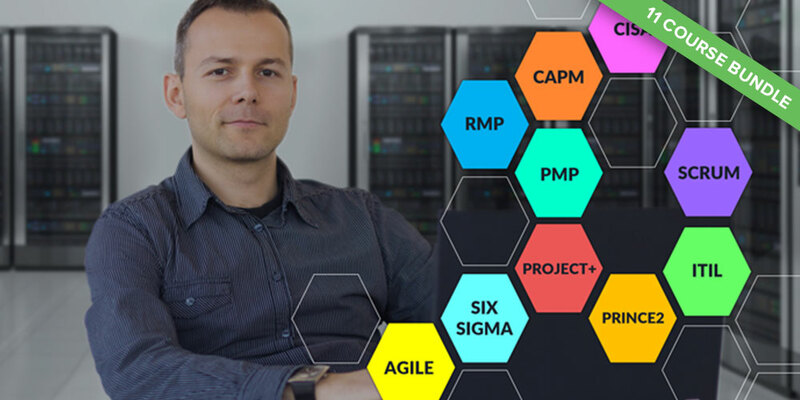 Stand out from the crowd and push your career to greater heights with the IT Process & Project Management: 11-Course Super Bundle for just $59. That's over 95% off.